Jin received his first sword at the age of 15, which belonged to his late grandfather (Sardar Dileep Singh), who worked as an experienced blacksmith in northern India. It was whilst watching him work that his passion for swords & military history began. Listening to stories from his past ignited a passion within him that has remained to this day. Years later Jin began his study of Indo Persian military history, ranging from ancient Indian scriptures right up to the days of the British Raj. Researching anything he could reference his growing collection of Arms & Armour! To help strengthen this foundation of knowledge, he undertook various martial arts and eventually gained first hand practical knowledge of northern Indian battle field arts. Collectively these experiences gave him a comprehensive understanding of Indo Persian warfare & weaponry. Over the past few years Wootz Militaria has expanded to help focus efforts on restoring antique arms & armour. 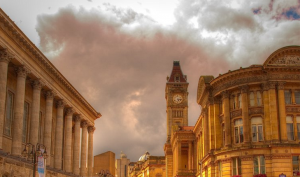 Just like the great British armourers and craftsmen, Robert Mole & Sons, Birmingham Small Arms and the famous Jewellery Quarter our inception occurred in the skilled city of Birmingham. Although we began providing our services throughout the UK we now cater to clients all over the world. Our team have been working closely with well established galleries and institutions and have an envied understanding of the antiques market. Our craftsman hold specialist training and skills in the various fields of restoration. The team proudly consist of a dedicated carpenter & metal workers amongst other skilled armourers. We currently hold fire arm and explosive licenses, which enable us to offer our services to firearms collectors. Assisting me with Wootz Militaria is my good friend Mark Wilson. He himself is an expert armourer and is personally involved in many re-enactment events across the United Kingdom. We have now been dealing in antiques for over 20 years and have the privilege of restoring antique Arms & Armour from private collections, institutions and museums across the globe. We also occasionally exhibit at arms fairs across the United Kingdom. We are confident in the services we provide, especially as a lot of the traditional eastern techniques we implement have been lost to the past and not practiced anywhere else! We are extremely proud of the quality of work we have done for our clients and regularly showcase projects on our website. Please feel free to get in touch if you have any questions about the services we offer.